This Easter, the Odyssey Team and The Thorn have teamed up to bring you a special collection featuring six episodes of Adventures in Odyssey called “The Crown of Thorns”. Description: Easter is more than chocolate bunnies and baskets! Discover the greatest story ever told! Travel back in time with Whit and his friends in the Imagination Station to witness the remarkable sacrifice and resurrection miracle of Jesus. Plus, witness the miracle of Lazarus and the incredible plagues of Egypt as you learn about God’s protection and love for His people. 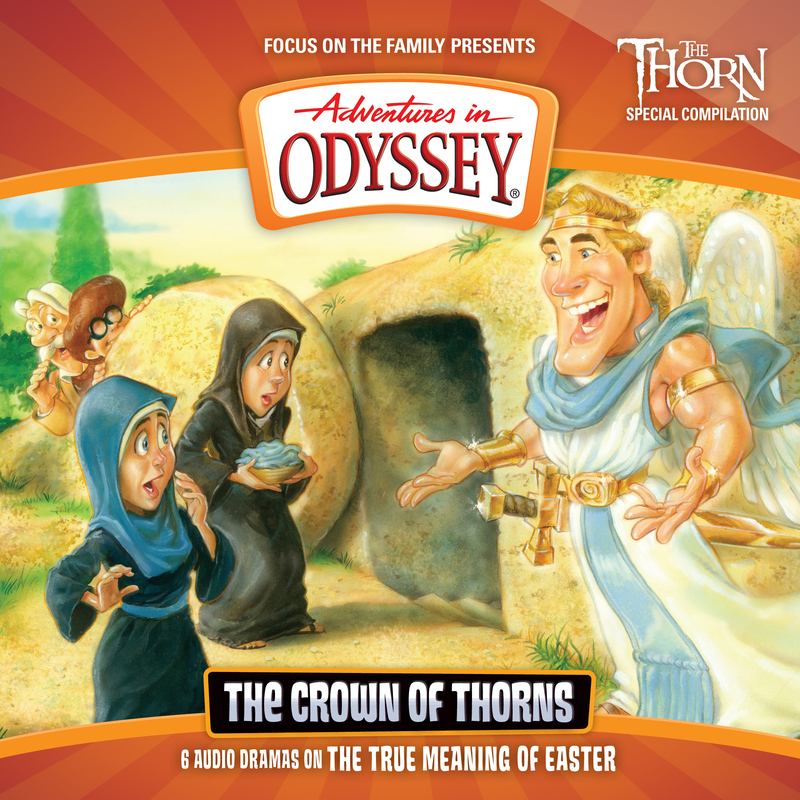 Your family will celebrate Easter in a fresh, new way with this exclusive package from The Thorn and Adventures in Odyssey. You can order a copy of this new release from the Focus on the Family Store.